Grocery shopping. Another thing on that must do list. 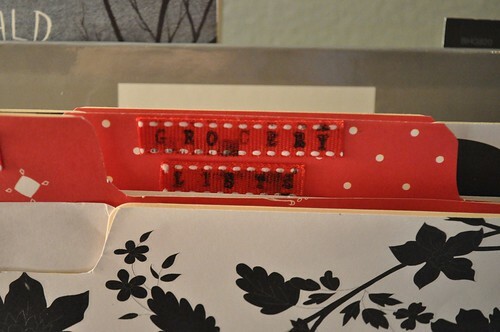 The one necessity of grocery shopping is having a list! The easiest way to stick to the grocery list is to go alone!! I know this isn't always possible (and never possible for some of you), but if you can find a time to go without the kids it makes it so much easier. I try to go Sunday afternoons. My biggest problem is saying no when the kids beg to go along. Every time I give in and take them with me, I say never again! When I make my menu for the term, I also make a grocery list for each week. 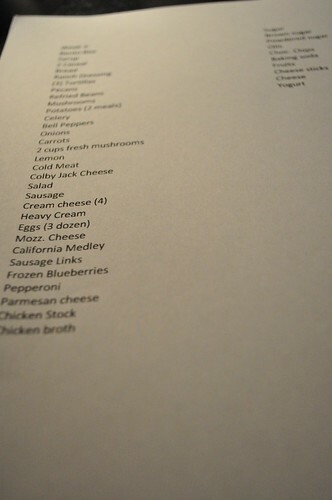 I make my grocery list in a Pages (or Word for PC's) document. I make two columns. The first column is for ingredients needed for my menu items (more on this in a second), the second column is for staples that I always need. I can look over my staples list before I go to the store and cross out the things that I don't need that trip. My staples list includes not only kitchen staples, but also toiletries and paper products. By making my list in a document, the second column is always there and I just need to add the first column in. As I add things to the list, I keep them in order to the store aisles. I make a separate list for each store I go to. For my menu items I've simplified the process a little. On the back of each of my recipes, I have sides and a grocery list. 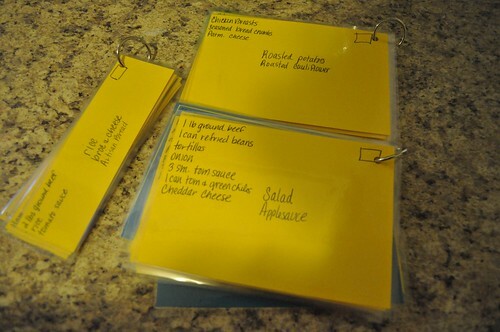 When I make my grocery list, I just go through each menu item and look at the card adding ingredients that I need. Super easy! I file my grocery lists in a file folder. Every week I just pull out that week's list(s) and I'm ready to go! 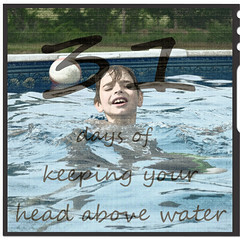 Grocery shopping can greatly contribute to drowning ... but, if you plan ahead a little you can keep your head above water!